The Kanbar College of Design, Engineering and Commerce gives students the unprecedented opportunity to gain valuable real-world experience by working collaboratively across disciplines on industry-sponsored projects. 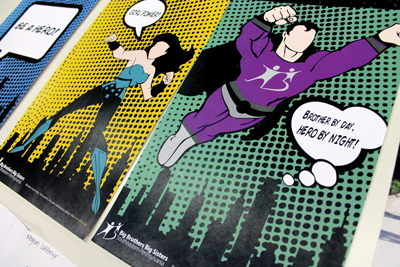 Seniors in the Graphic Design VII Systems Design Integration course created a comprehensive campaign sponsored by Big Brothers Big Sisters of Southeastern Pennsylvania to recruit new volunteers and inspire adults to mentor young children. Each project included a 16-plus page cover publication; either a website or mobile application; and environmental graphics, such as posters, bus or subway advertisements, t-shirts or other three-dimensional objects. The class challenges students to create a cohesive look and feel to each of the items in their marketing campaign, tying them together with a unifying theme. Terra-Grid, created for an industry-sponsored project with Construction Specialties, Inc., is a first-of-its kind, customizable, retrofitted green roof, developed collaboratively by MBA, architecture and industrial design students. The organic design guarantees a beautiful alternative to traditional green roofs. 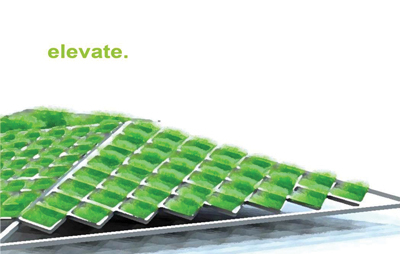 Easy to install, cost-effective and containing a low-maintenance modular plant system, the Terra-Grid brings green roof technology to office buildings, warehouses, manufacturing plants, apartment complexes, hospitals and other structures that would not otherwise be able to easily sustain a green roof system. 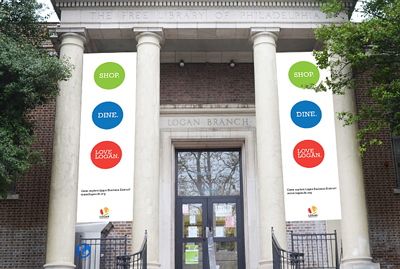 Rising to a challenge brought by the Logan Business District, students in the Kanbar College collaborated to create an authentic brand and identity to encourage business for the Logan neighborhood in Philadelphia. The first part was done by an interdisciplinary group of students in the “Opportunity Finding in Emerging Markets” course. They conducted ethnographic research and gathered information about the businesses and people that live in the Logan community. The information resulted in a report that was used as a foundation for the students in the Thomas Jefferson University Design Workshop. The group was made up of Graphic Design Communications students who took the research report from the first group to develop a brand identity and integrated marketing campaign for Logan Business District. The proposal used the “Logan slogan” “Shop. Dine. Love Logan!” The campaign was intended to be used on pole banners, small posters, shopping bags, buttons, etc. throughout the Logan neighborhood to create a sense of place, a sense of pride in community and to promote Logan as a destination. What happens when you give 150 industrial design students a challenge to, say, design a better pen? That’s what Newell Rubbermaid officials found out through the 11th annual Thomas Jefferson University industrial design sprint challenge. 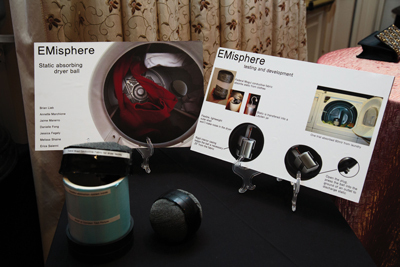 Newell Rubbermaid, a global marketer of consumer and commercial products—including Paper Mate pens, Rubbermaid storage and organization products and Calphalon cookware—chose PhilaU to work with the newest generation of innovators to create market-ready concepts and provide applicable solutions for their brands. 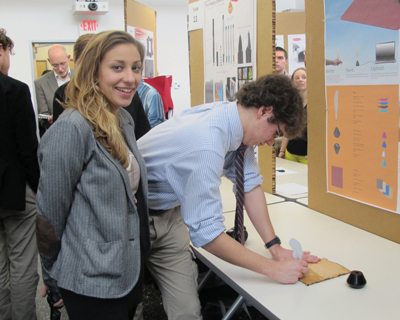 Over the course of one week, students designed products ranged from inkless writing implements to modular storage units for home entryways. Each project was pitched to senior executives at Newell Rubbermaid, who judged the Challenge and mentored the student teams. Students in the Kanbar College of Design, Engineering and Commerce competed in the annual Federal-Mogul sponsored project. Now in its third-year, the Federal-Mogul student innovation competition challenges a team of business, design and engineering students to work with Federal-Mogul materials to build a commercially viable product. The teams must combine their talents to develop a product that is feasible cost-efficient and marketable to a large number of consumers. The winning team received a cash prize and a chance to pitch their idea to Federal-Mogul executives at the company’s headquarters in Detroit.